(2014) is a film that successfully plugs into the direct story-telling current of existential dualism. A well-charged magnet for binaries, it entertains audiences with a selection of tasteful thematic powers that burst asunder: Existentialism vs. Humanism; Fate vs. Choice; Hope vs. Despair; Addiction vs. Rehabilitation; and Sameness vs. Otherness. To say that Director Bryan Singer provides ample material for the X-Men to wrestle with will be the understatement of this summer. “Days” begins in its bleak end: A destroyed future washed with an overcast of fog, fear and human desolation. Mutants are being hunted and the humans are seen enslaved by their own genius—the Sentinels. The Sentinels, given enough upload time, can now replicate their mutant-prey’s abilities at the molecular level. Sinisterly different, they are not the Bumblebee Transformer-types from the comics. 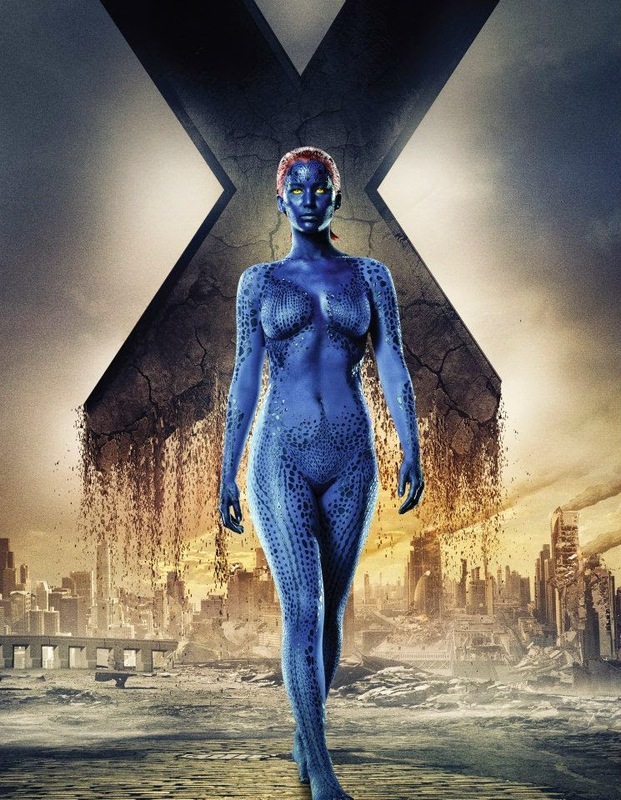 Evolution has furnished them with agile builds and sleek metal-scaled skin that pay homage to their queen muse—Mystique (Jennifer Lawrence). “To save the present we must go back” is the urgency for our remaining X-Men who unite under the crushing weight of their impending doom. Kitty Pryde’s (Ellen Page) new ability to transport consciousness along the thread of time is convenient enough to facilitate the task. The bearing of it, however, falls on our world-weary Logan (Hugh Jackman). With the elderly blessings of Professor X (Patrick Stewart) and Magneto (Ian McKellen), Logan’s consciousness (not bodily time travel) zings back to 1973 to stop Mystique’s assassination of Dr. Bolivar Trask (Game of Throne’s Peter Dinklage): the act that nourishes the birth of the Sentinel program. In “Days”, reconciling human conflicts rooted in psychology proves to be the heaviest lift for Logan, especially when assisting young Charles Xavier (James McAvoy) combat his inner struggles. Then rescuing Eric Lehnsherr (Michael Fassbender) from the Pentagon, and repairing the bromance gone sour between Charles and Erik is even more grueling for the temperamental Wolverine who needs them united to stop their common love interest—Raven/Mystique—from triggering world annihilation. Meanwhile, in the future-present, the last remaining X-Men: Storm, Bishop, Blink, Sunspot, Warpath, Iceman and others continue defending the ongoing operation, knowing that holding off these new Sentinels is as hopeful as saving water with a cupped hand. The competing urgency of future-present and past-present leaves viewers at the mercy of the film’s solid writing, penned by Simon Kinberg. With suspense and empathy levels at record highs, we are a split audience concerned for the fates of our beloved mutant brethren caged in two distant time periods, 50 years away, each of them reciprocally influencing one another’s fate. Set mostly in the ‘70s, we don’t complain. The attention paid to mise-en-scène to recreate a believable ‘70s world is terrific. While we enjoy Logan’s over-sized vintage tinted sunglasses and the old-fashioned muscle car, the camera work excels further. Select shots featuring old TV camera footage recreate believable throwback experiences while low-angle tracking shots over emphasize the action. The pace of motion has a Handycam home-movie feel at times. For once, The Washington Post’s review gets it right. It was a pleasure to see the switch from “high-level video-game look of the modern sequences to a style that resembles the movies of the time.” What O’Sullivan from the Post doesn’t tell us is that the technique transports the audience through time itself: both in terms of the ’70s movie experience, as well as escaping the gloom of the future for the renewed excitement of the past. 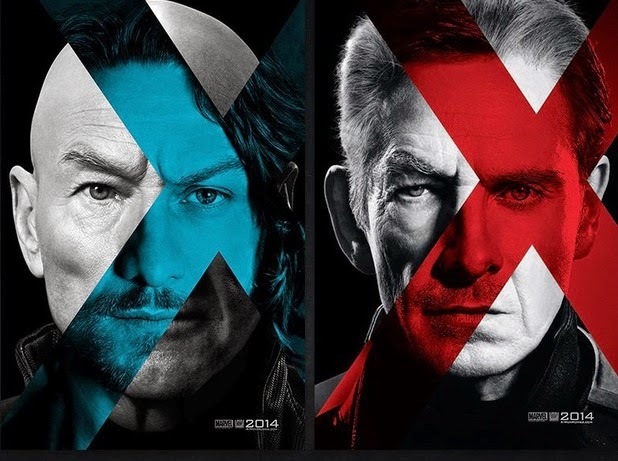 The British quadruple-threat of old and young Professor Xaviers and Magnetos are too good to share the same screen. McAvoy’s shouting of “I don’t want your suffering! I don’t want your ‘futcha!’” (that’s what it sounded like to me)will be stored in viewer memory forevermore. His muddled enunciation of a man suffering is performative art. Similarly, Stewart’s Gandolf-ian wisdom on love, tolerance, hope and second chances, echoes through time with obedience inducing magnetism. His message resonates with audiences for multiple reasons—1) their love for the character who knows the human mind better than anyone, and 2) their respect for Patrick Stewart as the granddaddy actor of popular culture fandom. When the older Professor X speaks we almost feel him rewiring our minds to listen. Ian McKellan’s performance is warmly touching; he’s the best friend here, though somewhat feeble looking when in action. 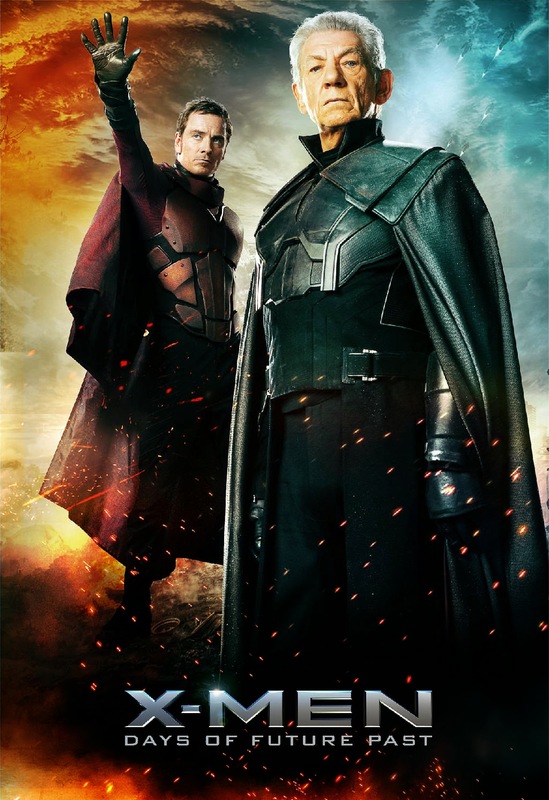 Blame Fassbender’s commanding performance of the younger more robust Magneto for this. Fassbender is perfect. He has the right sturdy body to be magnetic; his costume is a stylish dark red, not too bright to look like Red Riding Hood (as in the comics); and his poker face renders him unreadable. Fitting for someone who is Charles’ best friend and worst enemy—a true bromance with psychotic “it’s complicated” issues, really. His only mistake is lifting RFK stadium for no good reason. It didn’t pass me that the move was to make a statement about mutant power to the world. It did. But it also begs the question if the motivation was more for the spectacle in movie making than for plot? I thought they would bring in the Air Force to give it reason but guess not. Either way, the chemistry of Erik and Charles is iron solid; it leaves us feeling safe with the younger counterparts. So much so it feels almost okay to hand over the batonsfrom Stewart and McKellan to McAvoy and Fassbender. And that’s saying a lot. Jackman’s Wolverine is also flawless. His self-perceptive humor with one-liner galore pleases audiences with a healthy supply of comic relief right throughout. His reaction at the end (no spoilers here) when he sees what we see, sends for goose bumps. The X-Men franchise has done such a great job of elongating his yearnings through Wolverine’s elastic storyline which stretches from the days of 2000 in “X-Men” up until today. It was truly an emotional tug teased to satisfaction, leaving viewers feeling fuzzy and warm at first, and then salivating for more. Star performance: none other than Evan Peters who briefly plays the young Quicksilver. In “Last Stand” we had Callisto. She was so fast we could see her blurry residue when she moved. Peter’s Quicksilver, however, is light-years ahead of her. We don’t see him; we feel him. In a stunning scene filmed in stop-time freeze frame shots, Singer gives us the extraordinary pleasure of Quicksilver’s point of view. Logan and Charles are breaking Erik out of the world’s most secure prison when—time stops; and Quicksilver starts. His laidback “meh” type personality, in conjunction with his music choice of Jim Croce’s “Time in a Bottle” is a highlight moment of the movie that is burnt crisply into our mental vault of Best Movie Memories of All Time. Quicksilver jogs lightly, rearranging bullets, soups, guns, and punches at leisure to create a comic scene. The cinema exploded with laughter and broke into applause after panting; I hope yours did/will too. 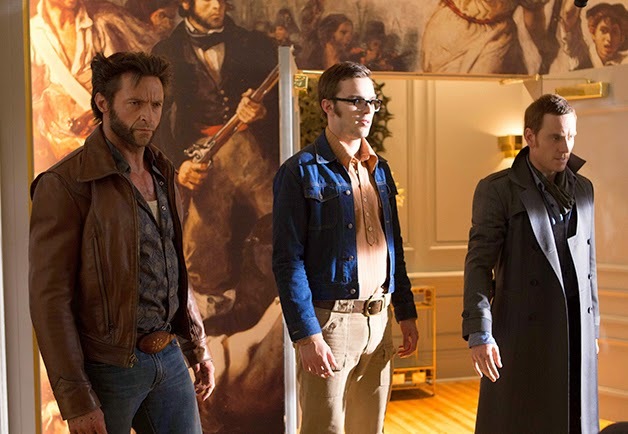 Overall, when compared to the “The Avengers” (2012), as Dana Stevens points out, the X-Men appear to be a more mature bunch of sorts.They possess an acute emotional sensitivity to their internal musings as well as to the larger themes that affect those around them and the audiences that come to watch them. Their story of discrimination and rejection functions as an allegory for us to absorb. 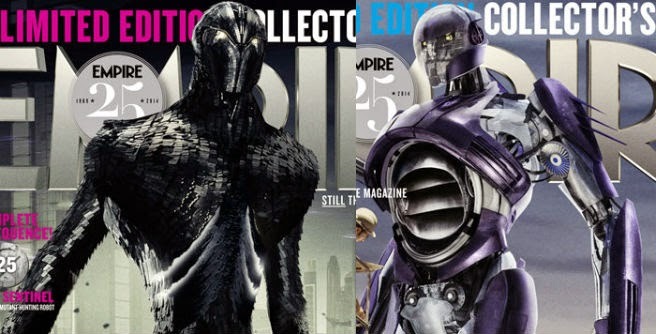 When “X-Men” was released in 2000 it paved the way for the sagas of superhero movies to come. Though the series stumbled on its own ends with disasters like the “Last Stand” in “Days” we find salvation in Singer’s return. He hits the Reset button. Time meddling leaves us with a lot of unanswered questions, like: How is Professor Xavier even alive after Jean vaporized him? And yet, the questions aren’t as itchy. This is what happens when a movie is done this well; you learn to trust in it. When one’s satisfaction is sky-high, the inkling to bring it down is swatted. And so, we’ll wait. And we’ll believe that the comic universe has a way of sorting itself around and explain itself when needed. It is a form of faith in its own right—that everything will make sense, or already does; besides, not knowing is not likely to bring about an apocalypse in our lives so why worry. For its multiple successes “X-Men Days of Future Past” receives an applaud-worthy 8.7/10. Adieu. We watched it on Memorial Day and enjoyed it. Hanee Mama said he thought it was more psychological. He wanted to see more fighting..lol.. Good review! 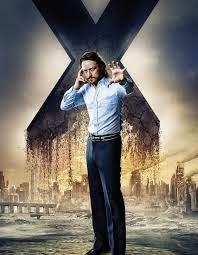 Awesome review, I was wondering who else heard \”your futcha\” as spoken by younger Professor Xavier.